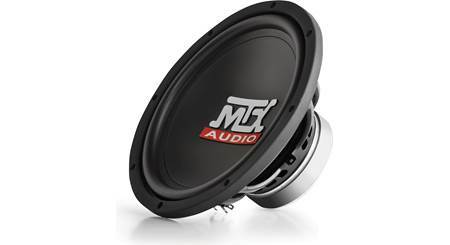 MTX Terminator subwoofers sound as good as they look. MTX Terminator subwoofers sound as good as they look. 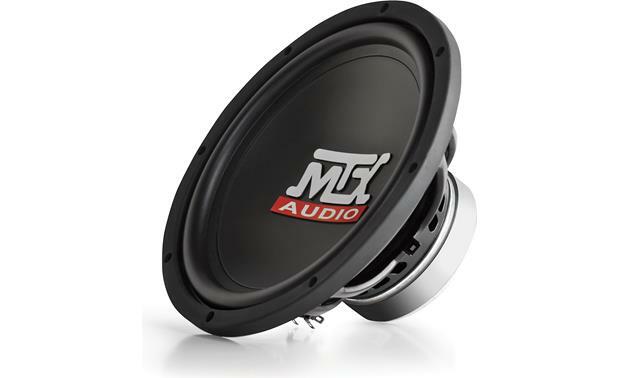 And they look pretty cool, with classic MTX subwoofer styling that adds a professional look in almost any vehicle. If you're looking for big bass at a bargain price, you'll be impressed by what the Terminator sub has to offer. 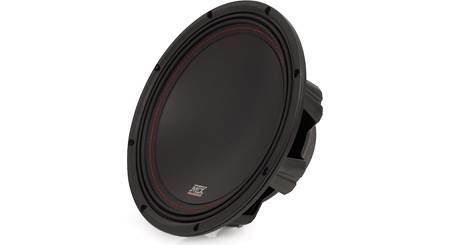 Trickle-down technology makes the Terminator TN10-04 10" sub a serious value. MTX's exclusive spider plateau venting pushes air in and out of the inner works to keep the 1-1/2" voice coil cool, while the Assymetrical Linear Drive System uses a flat, progressive spider and an extended pole piece to produce smooth, linear movement of the polypropylene cone. The result is a powerful sub that keeps pumping out accurate bass, even during extended, high-level play. 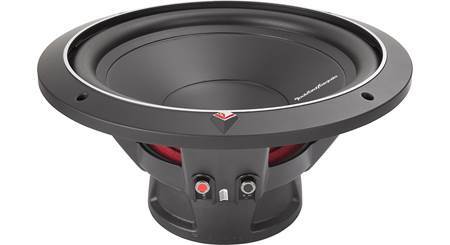 To drive this subwoofer, we recommend a mono subwoofer amplifier that can put out between 120 and 225 watts RMS at 4 ohms. For more information please refer to our article on How to Match Subwoofers and Amplifiers. Spider Plateau Venting: Heat from the voice coil is vented through vents that surround the back of the spider. As the woofer travels back and forth, cool air is pulled in and heated air is pushed out. Asymmetrical Linear Drive System (ALDS): The Asymmetrical Linear Drive System consists of a flat, progressive spider that improves suspension and an extended pole piece that smoothes out the cone's linear motion. The result is high output and low distortion. Sealed Box: For the best possible sound quality where space is a premium MTX recommends a sealed enclosure with an internal volume of 0.75 ft³. Sealed enclosures provide the most control over a woofer, will handle a lot of power, and provide accurate sonic reproduction, making them suitable to all types of music. Vented Box: The recommended vented box has a net internal volume of 1.45 ft³ with a slotted port 12" x 2" x 20-1/2". Vented (or ported) enclosures typically provide better overall efficiency than sealed so they are suitable for use with smaller amplifiers, giving you more bass output from less power. 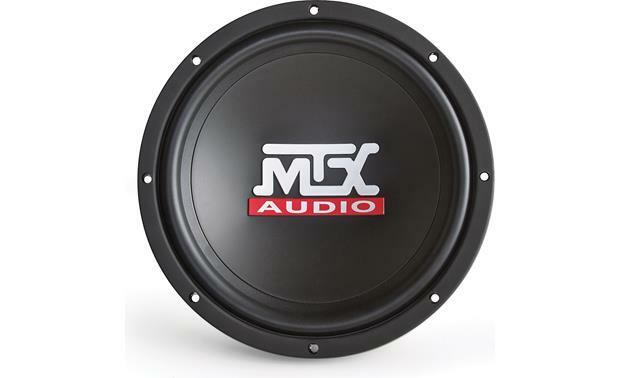 Which MTX amp is the best one for a pair of MTX 10" terminator 4ohm subs? 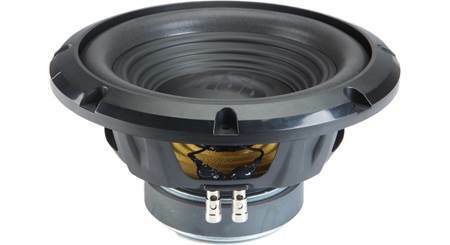 Searches related to the MTX TN10-04 Terminator Series 10" 4-ohm subwoofer.